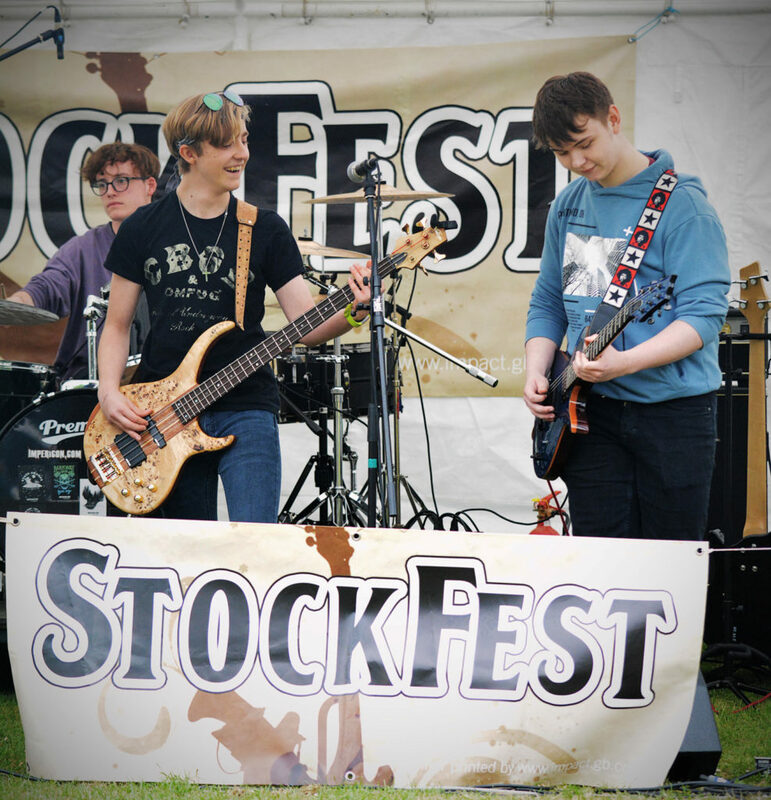 Can you believe StockFest has been running for ten years? 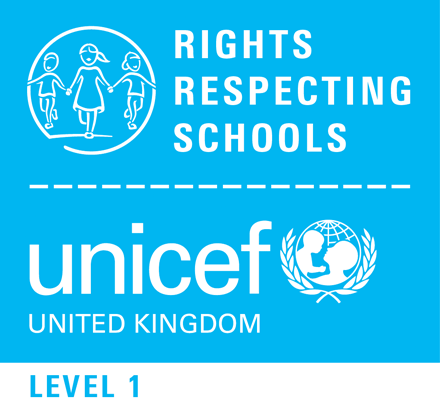 Originally it was the brainchild of two Year 11 prefects in 2008 to raise funds for charity close to their hearts. At the time the school had been building a band culture and holding Christmas gigs for about three years. We also had a street dance club, so moving to an outdoor music and dance festival seemed like an idea which could work. At the time we called upon the chair of the PTA, Trevor Johnson, who had connections with the army and was able to kit us out with a marquee and a number of large tents to support the event. A PA system was sourced and ‘StockFest 1’ went ahead in the Summer of 2009. The following year, two parents from Winterslow stepped into the ring, Ian McDonald and Steve Haines, who supplied and ran a professional sound system. This took StockFest to a whole new level. The continued support from Trevor, Ian and Steve every year since has ensured that we have an amazing platform every year which our young people can use to celebrate their talents. StockFest now celebrates talent from all year groups and this year it was great to see some dance acts come back onto the scene. Two Year 7 groups performed some brilliantly choreographed dance acts, which came from our ‘Learn to Learn’ Eisteddfod programme. The Eisteddfod had choreography support this year from Mrs Frost-Langley, one of our LSAs who is also a dance instructor. 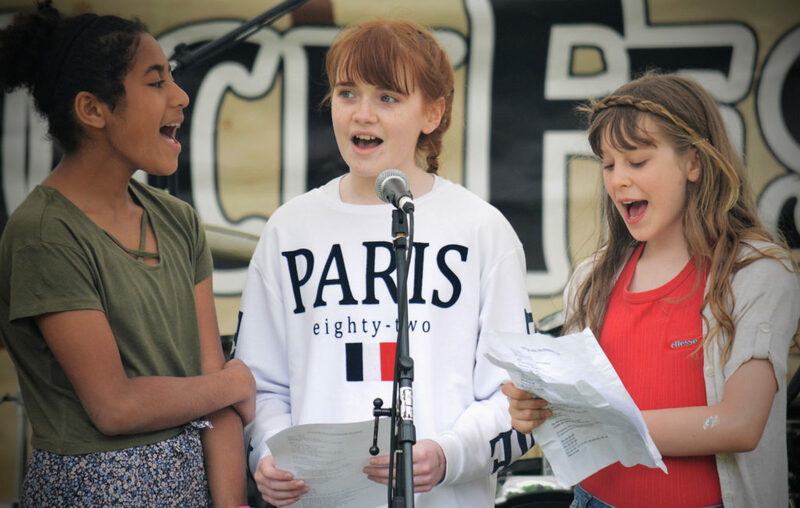 Throughout the week building up to StockFest you would see pupils practising and polishing their performances in preparation for the big event if you peeked in classrooms at break and lunchtimes. It seemed like everywhere I looked on the day, groups of pupils were going through their routines to ensure nothing was left to chance. Pupils from Years 7, 8 and 9 paired up to perform drum and guitar acts and pupils from our upper school became heroes bringing a range of bands together and blowing us away with their talents. One Year 10 band included friends from other schools to perform in their band. One story stands out for me this year: Corey Penfound is one of our prefects and helped to organise StockFest. He was given a base guitar for Christmas and started teaching himself to play it as a means of ‘downtime’ from the stress of GCSE exam preparation. He played his guitar in the Year 11 bands at StockFest. This was a great achievement in such a short space of time, showing just what can be achieved when you put your mind to it. In addition to the performances, Year 7 & 8 tutor groups ran a variety of stalls and raised money for a charity to be chosen by the Pupil Council. Many pupils and visitors enjoyed having a go at the various challenges these set to raise money. As is traditional at StockFest, our staff always pull something out of the bag and this year they formed a band to join in with the performances. Thank you to Mr Wilcox, a keen lead guitarist and member of a local band, who organised the line-up with pupils for StockFest this year. Thank you to school staff for their support throughout the event. Thank you to the PTA who ran our bbq and tuck-shop. Thank you for the continued support from Trevor, Ian and Steve. I know how fortunate we are to be able to run this event and it seems obvious by the number of pupils who perform and stay after school to support this event, that our pupils value this opportunity for the coming together of our community in a truly celebratory festival way.